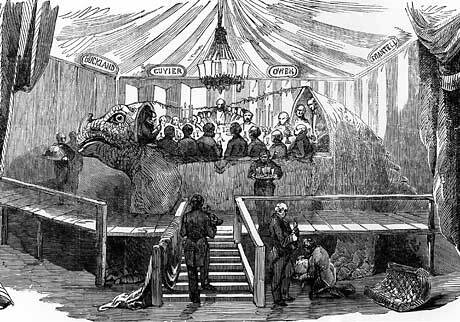 On December 30, 1853 a dinner party was held in London that took place inside a life sized model of an Iguanodon created by Benjamin Waterhoue Hawkins and Sir Richard Owens. Today, if many corporate executives and managers were aware of the sea change afoot, they might realize that they too were sitting similarly, encapsulated inside the skeleton of a long extinct dinosaur. Our existing hierarchical command and control management structure is much like an Iguanodon – a by-product of the Industrial Age, when businesses needed lots of middle-level workers to manage information inefficiently, so layers of management existed between the shop floor and the executive suite. Over the past few decades, a great many of those jobs have been lost, replaced by automation. These thoughts were in mind as I listened to a recent podcast on Russ Robert’s EconTalk, interviewing Yanis Varoufakis, on the highly unusual work structure at Valve. As Varoufakis , Economist-in-Residence at Valve Software, reminded me, command and control management hierarchies are in fact a “glue in” of a pre-capitalist society. There is no need for such structure at Valve. A maker of multiplayer video games, Valve’s Steam is the de facto open platform for the distribution of not only the games and media produced by Valve, but also by its large software competitors as well as small indie developers. As Varoufakis pointed out in his interview, what this affords Valve is a helicopter view of a very large online barter economy, one fueled by a freely available application programming interface, Steamworks. It turns out the free-form interaction of the Steam community and its barter economy have a lot to do with how the Valve work environment is shaped. At Valve, there are no bosses. There is no explicit hierarchy. A more radical version of Googles’ 20% free time, where employees are allowed to pursue their own projects, employees at Valve have free time 100% of the time. 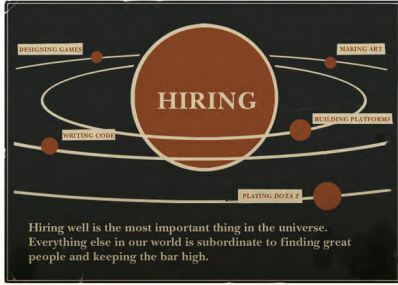 If you read the Valve Employee Handbook (a must-read! ), employees are advised “You run the company”. 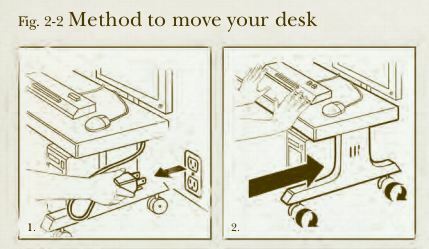 There’s a very physical differentiator between Valve and most companies: Employee workstations are on wheels, with movable network connectivity. This means that when an employee wants to join another project, they simply unplug their workstation and connect into the local group. This is not unlike the Brazilian manufacturer Semco, which also offers a very unstructured work environment and which encourages swapping chairs with other employees. Hiring is central: It’s the all essential hydrogen element of fueling the Valve star system’s nuclear fusion. This ethos carries over to employee performance assessments where retention and reward are assessed by a group-view of how the contributor did or did not contribute to company performance. Valve’s is a meritocracy held together by a tight, but far from constraining social fabric. Indeed, there is the potential for as much as a 5X performance bonus over salary available to all employees, not just a select elite. Many corporate managers, reviewing the above, are surely astonished. And more astonished still to learn that Valve company’s Founder, Gabe Newell, candidly describes the company as operating under the principles of anarcho-syndicalism. Yes- the same anarcho-syndicalism mentioned in this Monty Python skit below. And as with Monty Python’s “annoying peasant” who regards centralized, hierarchical structure as repressing , Valve’ s culture regards the C&C structure as repressing innovation of knowledge workers. Urging them that their talents may be wasted sitting at the dinner party inside the Iguanodon, the battle cry to knowledge workers is quite clearly expressed in Varoufakis’ closing paragraph on Valve culture. The current system of corporate governance is bunk. Capitalist corporations are on the way to certain extinction. Replete with hierarchies that are excedingly wasteful of human talent and energies, intertwined with toxic finance, co-dependent with political structures that are losing democratic legitimacy fast, a form of post-capitalist, decentralised corporation will, sooner or later, emerge. The eradication of distribution and marginal costs, the capacity of producers to have direct access to billions of customers instantaneously, the advances of open source communities and mentalities, all these fascinating developments are bound to turn the autocratic Soviet-like megaliths of today into curiosities that students of political economy, business studies etc will marvel at in the future, just like school children marvel at dinosaur skeletons at the Natural History museum. If you have experienced the waste of human talent and energies inside traditional corporations compared to the free-wheeling innovation in start-ups, you can’t help but takes some glee in Varoufakis’ bold pronouncement. Time to Short Command and Control? Valve has managed to grow to 300 employees today and claims it can handle hiring some 30-40 new ones per month. Can it grow further? Look at Brazil’s Semco as an possible predictor: Also operating a fairly work-time unstructured, peer review-dominant workplace, Semco today has some 3000 employees. There’s a bigger question here: Is scalability as relevant in today’s networked economy, where consumers are also producers? The importance of scalability comes from a traditional corporate perspective, where the distinct barriers between producers and customers exist. If one considers that a good deal of Valves’ producers are creator-customers (eg. the independents and employees of small and large software houses creating the 1400+ games and tools for Steam), the effective workforce is probably more 800. For Valve as for many other companies in the current digital networked economy, the end-consumers include a large number of producers, so-called “co-creators”. Even between platform releases, the product is under evolution from these consumer-customers: One indie developer may create a special hat with magical powers that confers advantages to a game player’s avatar and makes that available for sale, adding to the game complexity and providing a new potential transaction. Another developer may devise a virtual hammer useful in certain game situations, again making the digital tool available for a price. In effect, co-creator consumers create more time for the company to produce the next platform. This is true for all companies which open their platform to partners and customers for sharing and transacting. Consider the app world of Apple iOS and Google Android: Between platform releases, consumers can enrich and deepen their interaction with the current platform through the new features created by app developers. Recognizing this factor of a co-creator digital economy, underscores the earlier point that the “virtual workforce” in such platform companies is larger than the nominal employee size, making for greater productivity, off-setting the fixed costs of development while also scaling. 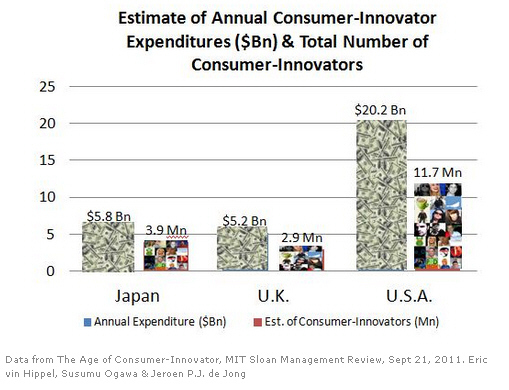 As I’ve posted earlier, Eric Von Hippel of MIT and colleagues have shown that in the U.S., U.K. and Japan alone, product modifications by some 18.5 million consumer-innovators generate $31.2 Bn a year. This decreasing dividing line between producers and consumers signals one roaring game-changer for conventional corporate structures. It can be said that such rarified work environments as Valve’s only apply to knowledge workers, such as Ph.D. researchers, software developers and designers; it can’t possibly apply to the average worker. But there’s a growing viewpoint that the “average worker” with the “average job” is becoming a relic of the past too. I see this as an extension of a view described in David Bollier’s Power Curve Society: The Future of Innovation, Opportunity and Social Equity in the Emerging Networked Economy ( a highly recommended read) which examines in depth the decreasing relevance of “average” and bell curve distributions in our working society. While Power Curve Society vexes as to what exact shape our organizations need to take to meet the increasing pressures of fast-paced technology innovation, a quote from Joi Ito, Director of the MIT Media Lab and a contributor to the Roundtable described in the book, suggests we are not far-off from a Valve-like future. The most interesting and rewarding jobs of the future are likely to require entrepreneurial talents, practice-based skills and a healthy sense of anti-authoritarianism. This last point is raised by Varoufakas himself. Opponents argue that this form of bossless workplace is a luxury that can only take place where there is no scarcity, for instance, there can be no struggle to meet revenue targets or fierce need to meet a new product deadline due to competitors nipping at your heels. This is perhaps the more cogent of the objections. Valve is valued, by Forbes estimates, at $2- $4 billion, owning some 50%-70% of the $4 billion online PC games distribution. So too, Netflix can be said to a near-monopoly in video distribution. Topping the pile, there’s no argument that Google has a near-monopoly position. Interestingly, each of these companies grew by virtue of networked effects, where the value of their product or service increased with the number of users. The more users used these products, the more the value of their products grew in the perception of other users. There are two reasons we expect to the growth of such tech monopolies to reshape the workplaces of the future: 1. More companies overall are migrating to the networked economy where they will be able to harness high growth network effects. 2. 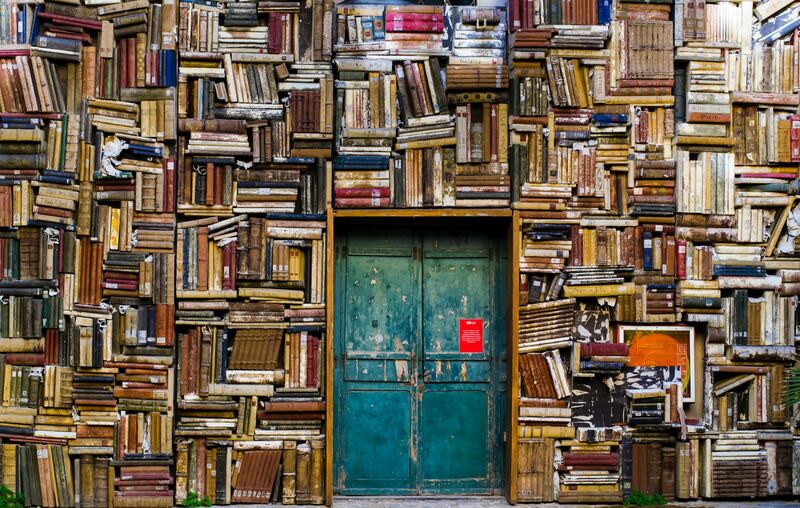 As stated earlier, increasing competitive pressure associated with greater intelligence derived from Big Data analyses, will tend to favor knowledge worker-based companies (or at least those with a strategic group of knowledge workers). Tim Wu’s Wall Street Journal piece, In the Grip of the New Monopolists does a great job of describing this ongoing trend. The objections and risks associated with a Valve-like future work environment, when evaluated against the trend toward a networked economy, open platforms and the emergence of co-creators consumers, leads to the exact opposite conclusion: There’s greater risk not to support a decentralized bossless knowledge-worker environment. Yet the majority will tenaciously hang onto the dinosaur skeleton of command and control. Open reception to revolutionary change is about as likely as someone having convinced them to short sub-prime mortgages in 2006. And we know there weren’t many that foresaw that. Bone-hanger-oners, beware. The libertarian view of Varoufakis’ inciting pronouncement pales against another (not mutually exclusive) version of the future workplaces, one more synergistic with a digital economy. Consider that the anarcho-syndicalist culture of a Valve isn’t quite complete: In its pure form, the owners of an anarcho-syndicalist organization transfer the capital, the ownership, to the workers. Yup – there’s still a more open structure that might cause even a Valve to “Shut TF up and run”: Guilds. True, I had not read Gary Hamel’s HBR piece , so I appreciate your telling me about Morning Star. I did note that there are many similarities between the two companies with respect to use of “social glue”, peer review, assiduous attention to hiring, to name but a few. That said, the definition of ‘tomato processing employee/worker” is not as broad as I originally assumed in starting to read the piece: For the most part, it seems Hamel is describing the structure and performance of the 400 ful-time employees at Morning Star. It also describes there are some 800 “seasonal workers” who though trained in self-management and described as more loyal because of it, do not seem to be portrayed as fully autonomous as the full-timers. This makes sense though. Next PostNext How Many Bossless Companies Exist Today?